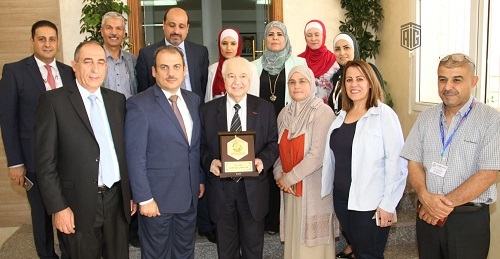 AMMAN – HE Dr. Talal Abu-Ghazaleh patronized a workshop entitled ‘Excellence and Creativity’ organized by the Arab Society for Intellectual Property (ASIP) in cooperation with the National Agricultural Research Center (NARC) and the Licensing Executives Society – Arab Countries. During the workshop, a Memorandum of Understanding (MoU) was signed between the Arab Intellectual Property Mediation and Arbitration Society, chaired by Dr. Abu-Ghazaleh, and the Center to cooperate in developing Arab and Jordanian agricultural scientific research, and benefit from the technical expertise of Talal Abu-Ghazaleh Organization in networking the NARC and its branches in the Kingdom with research centers in the European Union, as well as archiving the Center’s national library and connecting with the Arab States Research and Education Network (ASREN). Participants discussed during the workshop, held at NARC headquarters, the technological development which will boom in the region by 2020 and the Artificial Intelligence which will invade the world soon. 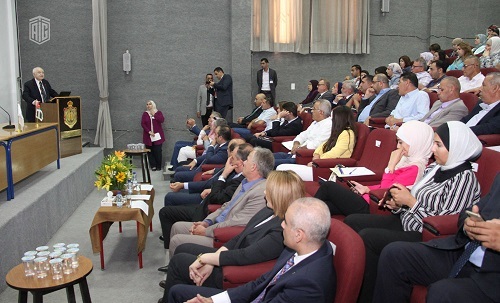 In his keynote speech, Dr. Abu-Ghazaleh affirmed the significance of such gatherings attended by scientists and researchers noting that the objective of education should be shifted towards graduating innovators and inventors to cope with the rapid Knowledge Age changes. He also referred to the newly established Talal Abu-Ghazaleh University College for Innovation (TAGUCI) which will be operational in October 2018, as well as to his new book which will be published next month discussing how the world under the knowledge revolution would look like. He saluted the able leadership of Dr. Nizar Haddad. 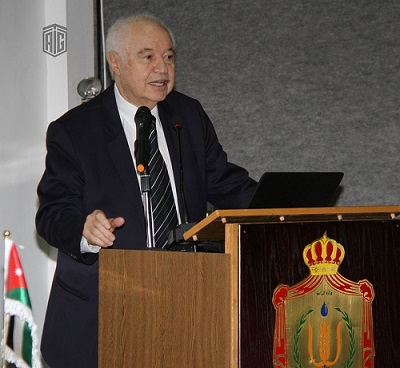 Meanwhile, Dr. Abu-Ghazaleh expressed his admiration for the pioneering experience led by the Center and its new vision which enhances its efforts to launch innovative ideas and motivate scientists and researchers to conduct research that would ultimately translate into patents and applied knowledge. For his part, NARC Director General Dr. Nizar Haddad extended his gratitude to Talal Abu-Ghazaleh Organization for its ongoing endeavor to develop agricultural work, intellectual property incubators and knowledge stations as incorporated in the signed MoU. Abu-Ghazaleh Intellectual Property (AGIP) Executive Director Mr. Mahmoud Lattouf briefed the attendees on AGIP services, offices and accomplishments. Mr. Zeid Al Majali, Quality Control Manager at Talal Abu-Ghazaleh Knowledge Stations gave a presentation about the establishment of the knowledge stations, services and training courses they offer in addition to their locations inside the Kingdom and in Palestine. For her part, Dean of TAGUCI talked about the pioneering vision of the University, its objectives, degrees to be offered, registration requirements and teaching methods.